Gotenna Wireless Network Device - Text and GPS Off-Grid? 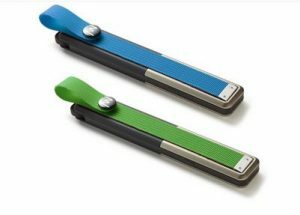 Home gotenna Gotenna Wireless Network Device – Text and GPS Off-Grid? Gotenna Wireless Network Device – Text and GPS Off-Grid? During our family hiking trips, keeping track of each other was a bit difficult, some of us keep getting lost and sometimes it became rather stressful especially if it is about to get dark. Thanks to Gotenna, we can now keep track of each other on the go and focus on having fun with the adventure ahead! Whenever we go off the grid, communication becomes problematic because of the absence of signal. If you consider yourself an outdoor enthusiast or a survivalist, you know how tough it can get to know exactly where your team is while you somewhere in the woods, separated from them. Furthermore, during natural disasters such as hurricanes, reaching out and confirming the safety of your loved ones is almost impossible. 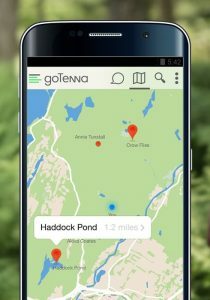 The Gotenna is a revolutionary invention recently unveiled to suit these times of need and it will let you know the exact location of anyone as long as they have it. What makes it more amazing is the fact that you can use it to send some messages to each other using cellphones without the need for a signal, making checking in very simple. Below is a thorough outlook on this tiny but extremely helpful piece of tech. Well, most of us do not really realize that they need such a tool until the need arises. When you find yourself in a dire situation where your loved ones or dear friends are involved and there is no way of reaching them, you all better be having the Gotenna if they are in close range. You will be thankful for thinking ahead! Make hay while the sun shines, right? To get this awesome piece of tech that can relieve you of needless worry or help you find someone you care about easily, rush to the official site. The more you buy, the more you save with Gotenna.